My name is Steve Eidam. I am a 30 plus year active member and Ex-Chief of the Pound Ridge Fire Department. I am writing to you today because a 9-year-old neighbor needs our help. 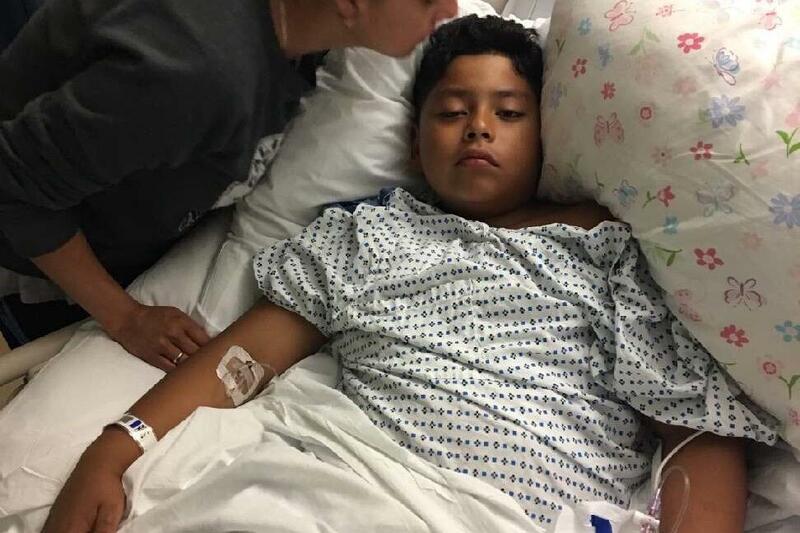 A Bedford Hills resident named Rocky Serrano, with whom my son Brandon plays John Jay Youth Football, suffered a major stroke on Sunday, July 1st. This stroke was caused by a congenital condition called Arterlovenous Malformation (AVM). The stroke caused significant damage leaving Rocky unable to walk and at first even speak. Rocky will have to undergo at least two brain operations to hopefully reverse this state. These surgeries are scheduled for the month of August. Rocky’s dad, Rocky Sr., mom, Marivel, and his older sister Alison, are obviously heartbroken and distraught. These are hardworking salt-of-the-earth people both working two jobs to make ends meet. Rocky’s neurosurgeons say he is in for a very long haul moving forward but the prognosis is good. This however, will involve overwhelming financial expense for the family. or the family's mailing address is 39 Rome Ave, Bedford Hills, NY 10507. Here is a link to a News 12 story about Rocky. Thank you in advance for your help. One of my greatest lifetime accomplishments is having the honor of being part of the Volunteer firefighter service and helping people the way we have the opportunity to help Rocky today.